Prototype: German Federal Railroad (DB) class 74 tank locomotive. 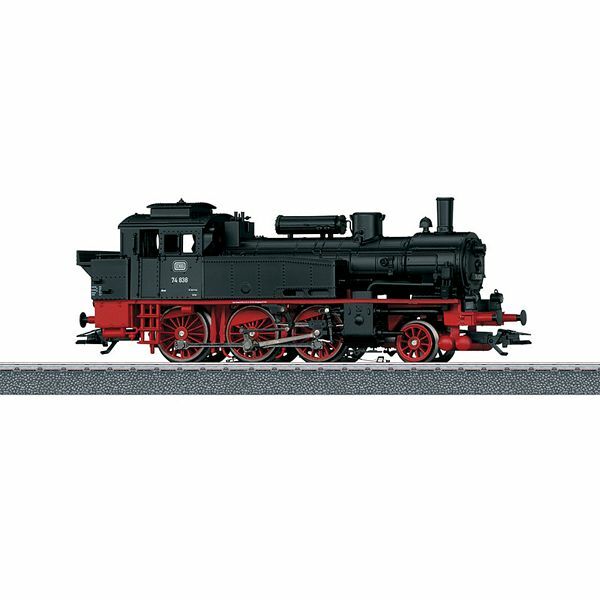 Model: The locomotive has a digital decoder and a special can motor with a flywheel. 3 axles powered. Traction tires. The locomotive has triple headlights that change with the direction of travel, will work in conventional operation, and can be controlled digitally. It also has many separately applied details. Length over the buffers 12.7 cm / 5. This model can be found in a DC version in the Trix H0 assortment under item no. 22854.